Washington - American Muslim leaders are planning voter registration drives and open-house days at mosques to fight a rise in anti-Muslim harassment. U.S. Muslim leaders also pledged to counter recruitment efforts by extremists such as the Islamic State group. The plans were announced Monday in Washington, one day after an emergency summit on anti-Muslim bias that drew about 100 leaders from across the country. Among the participants were the Council on American-Islamic Relations, the Islamic Society of North America and the Muslim Public Affairs Council. Organizers say they’ll work with civil rights and interfaith groups to try to defeat politicians with bigoted views. 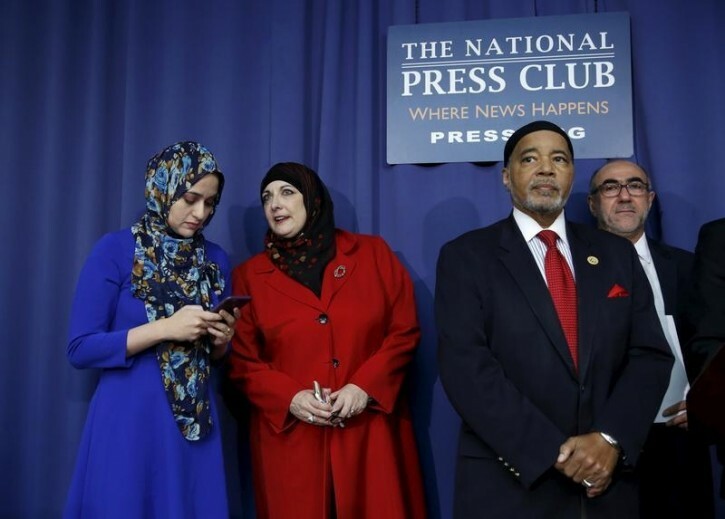 The recent backlash against Muslims follows Islamic extremist attacks in Paris and San Bernardino, California, and remarks by Donald Trump and other presidential candidates. How about fighting terrorism and condemning these atrocious acts of violence in the name of religion? Let these choleras all take a long walk on a short bridge! If theey are against harassment they should consider what they did a few years ago at Brooklyn College. They organized a BDS rally, tried to refuse entry to Jews. When that failed they, specifically, a Latina advisor had Brooklyn College employees physically remove Jews. There was an outcry and months later the report came out supporting all these facts but nothing was done. The President of B.C., Ms Gould backed them up regardless of the violent, threatening facts of that day. My daughter was shown a knife when she went to enter, security and the final report questioned the truth. Now they dare use the harassment word! The world is upside down. The perpetrators turn themselves into the victims, and the sick policitxally correct world goes along with it, while screaming "racist!" At anyone who expects their own country to protect them first, before considering the poor hurt feelings of the immigrants who will hVe terrorists among them! Why don't they organize to protest against Islamic jihad killing innocent people? It's really not fair to say that all terrorists are Muslims. There must be a couple somewhere in the world at some time in history who were Christians. Probably. I think. Perhaps. How about organizing Muslim protests against Muslim's killing innocent civilians, against Muslim's antisemitism, against Muslim's support of terrorism? Or maybe Muslims think that's Ok? "islamophobia" is a total myth. it is not happening. this is classic misdirection.